Vintage 50's red suede rose corsage trimmed in mink. Very Chic! 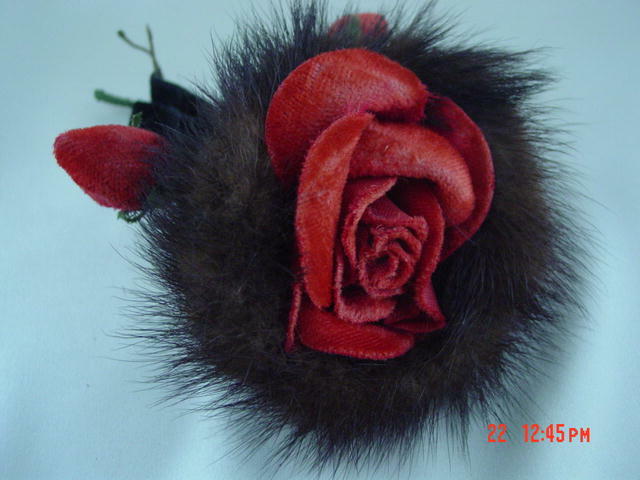 Items Similar To "Vintage 50's Red Suede Rose Corsage Trimmed in Mink"